you want something that will be a sure fire success. Maybe the last Christmas party was a bit of a flop and now you have the task of finding something that will please a huge cross section of people. I have some genuine excellent Christmas party ideas that I can guarantee will be a big hitwith everybody! Now, I know you think I may be biased but the truth is I really want to helpand I can make those guarantees not based on my opinion but based on the literally 1000s of shows that I have done and the feedback from happy customers. Consider these excellent Christmas party ideas. 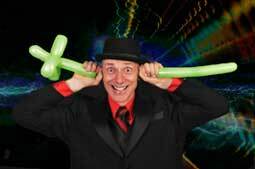 Roving Magic is where I circulate among your guests giving them a personal mini stage show. The magic happens right in front of their eyes, in their own hands. It is just amazing! and I combine that, with my witty sense of English humour to get everyone laughing and mystified.its a lot of fun. 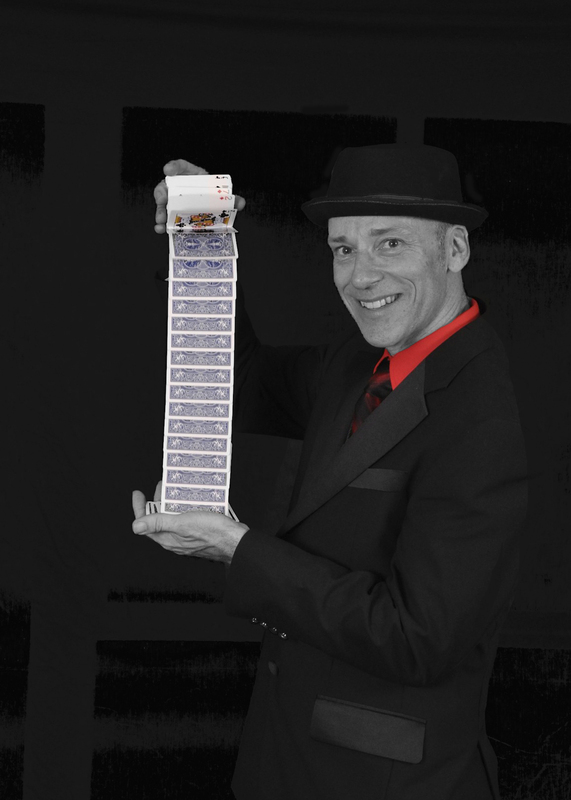 Roving Magic is the most popular form of magic entertainment because it is so versatile. It will entertain ALL agesyes from babies to well, the not so young ïŠ. And it is personal and interactive, the spectators are the stars of the show. So if you are looking for cool stylish, fun entertainment then Roving Magic is an absolute winner. So maybe you want something a bit more formal, a feature event for the evening. You dont want to offend your guests with a potty mouth comedian or a magician who gets cheap laughs by humiliating the spectators. 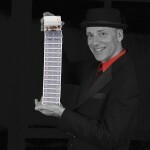 Well, my comedy magic show is a mixture of clean stand up comedy and very funny interactive magic. From the very beginning I will have your guests laughing, smiling and gasping with surprise. My unique show has been a bit hit at every performance. A rollercoaster of fun, laughs, gags and cool interactive magic. The finale is a visual and emotional spectacular which often gets a standing ovationyes its true! So if you want to shine at your next event book my comedy magic stage show. Want more Christmas party ideas? Tricks of the Mind is my Mentalism show. This show is for the more discerning audience who may not be keen on the idea of a magic show. This is NOT a magic show. This is a show that uses secret skills and techniques to influence decisions, make predictions and control your actions, all done in a light hearted, fun, interactive entertaining manner. This time the finale is an edge of your seat nail biter, as I risk all on the whim of a spectator. A unique show, interactive, loads of fun and mystery. You cant go wrong booking this showmy success will be your success. Ok even more Christmas party ideas. Yes I know, sometimes roving and stage shows are not suitableyou only have 30 or so guests, maybe you have hired a smaller room or restaurant. My Stand-up show is a mixture of roving magic, stage magic and stand-up comedy. It can be performed just about anywhere. I find a space and perform a mini stage show. Can fit into any environment. It is a cost effective way of having a feature event. Everything is performed up-close, very personal, funny and interactive. An ideal alternative when you have a smaller number of guest. My Stand-up shows always get rave reviewsand you will too. I still got a couple of Christmas party ideas to go. Some magicians dont perform for kidsI dont know why, I love it!it is so much fun. I know that lots of Christmas parties involve the whole family. How do you keep the kids occupied? What are you going to do? My kids magic show is a rollercoaster of laughs from the very beginning. I keep the kids and parents thoroughly entertained the whole time, very funny interactive magic and of course the magical production of Rocky the Rabbit. It will get everyone so excited, yes and they get to pat the Rabbit. Oh and did I mention, all the kids get a free magic gift. Got Kids? Book my Show!!! I have been making balloon amimals for over 15 years and I can tell you that adults, teens and children LOVE them! They are big, bright, colourful and people stand mesmerised watching me make them. They will brighten up any event because they are so visual. Oh, these are not your boring single balloon creations, no!…these are special arty creations, some are cute, some are huge, all are a delight to take home. Brighten up your Christmas Party now. Well thats it! I told you I had some great Christmas Party Ideas! Any of these Christmas party ideas will prove to be a big success. There is something here for everybody. Call me on (07) 3300 1741 for a no obligation chatwhether you book me or not I am happy to share my 15 years of entertaining experience to help you have the best Christmas Party ever!! This entry was posted in Posts and tagged brisbane, do, ideas, party, staff. Bookmark the permalink. ← What is Comedy Stage Magic?